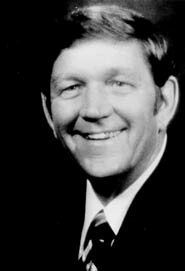 Oliver H. (Ollie) Raymond was born in Shelbyville, Kentucky and grew up in the farming community of Chestnut Grove in Shelby County. After graduating as valedictorian of his high school class in 1948, he joined the Air Force for an 18-month tour of duty. He received the Bachelor of Science in Civil Engineering from the University of Kentucky in 1954. Subsequently, he worked for construction firms involved in the design and construction of coal preparation plants, and water and sewer treatment plants. Mr. Raymond founded Raymond Construction Company in 1963, which he built into a thriving highway construction firm. In 1980, Mr. Raymond was a founder of Job Rentals and Sales, known as Raymond Equipment Company, which he built into one of the nation’s leading heavy equipment rental companies. Mr. Raymond was actively involved with the Louisville Chapter of the Associated General Contractors and for many years was a member of the Kentucky Society of Professional Engineers and the National Society of Professional Engineers. He was a registered engineer and licensed surveyor in the state of Kentucky. Mr. Raymond and his wife, Anne Hart Raymond, were charter members of the UK Department of Civil Engineering’s Construction Management Founders Society (CMFS). Mr. Raymond was inducted into the College of Engineering Hall of Distinction in 1995. He also received the CMFS Lifetime Achievement and UK Civil Engineering Career Achievement Awards. The generosity of Mr. And Mrs. Raymond has provided endowments to establish the Raymond-Shaver Chair in Construction Management, the Raymond-Blythe Professorships, the Raymond-Terrell Graduate Fellowships, the Raymond Scholarship Program and the Raymond Student Commons in the mechanical engineering building slated for completion in January 2002. The former Civil Engineering/Kentucky Transportation Center Building was dedicated in his honor on October 9, 1998. Mr. Raymond passed away October 19, 1999. He is survived by wife, Anne, and their daughter, Linda Raymond.